A classic journey through the Albanian Alps and certainly among most popular trips. The round trip from Shkodra be completed within three days and individually extended. Pickup from your accommodation in Shkodra at 6:30am. Driving time to Koman is two hours. There’s also the option to start from Tirana at 5am. Departure at 9am, the boat ride takes 3h depending on the number of stops, arrival 12 noon in Fierze. Minibuses will be waiting for you to take you into town. The connecting minibus to Valbona leaves at 3:30pm and takes 1h. With a private transfer a direct drive (without waiting time) and optional warm-up walk become available. Dormitories with 3-6 beds and shared facilities in a guesthouse or private double rooms with en-suite bathroom of a hotel are available. Necessary if you chose private double and/or the warm-up walk, from the guesthouse you can start walking directly but should add one more hour walking time. Rooms with 2-4 beds and shared facilities as well as private rooms with en-suite bath. The public minibuses leaves without fixed schedule between 1-2pm, driving time to Shkodra is 3h, expect to return around 4pm. A private transfer allows you to choose a prefered departure time. 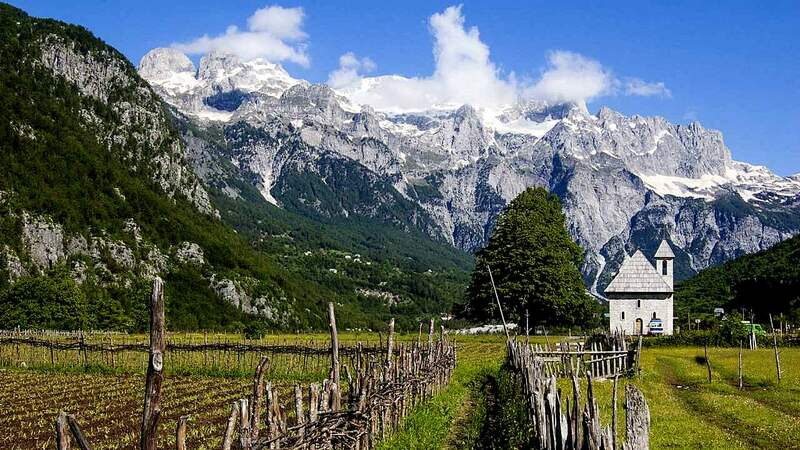 Experienced hikers will relish exploring the Albanian Alps panoramic high valleys and authentic villages without having to compromise on comfort. If you have previously enjoyed walking in the Dolomites and other alpine areas you will love this trip! The routing can be also inversed, this requires leaving from Valbona on a private transfer at 4am to catch the Koman Ferry or taking the public minibus at 7am and then to wait in Bajram Curri for the tourist boat that departs 1pm, estimated arrival in Shkodra with the later at 5-6pm. any other point – ask us for a quote! Addons - Extend your trip! I have included all information necessary for planning my trip according to the above mentioned options and outlined what my perfect holiday would look like. Get going Zbulo! and tailor me a trip!